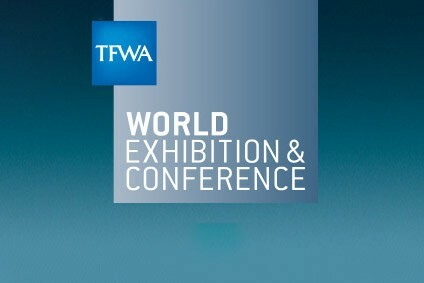 This week, the Global Travel Retail world converged on Cannes in France for the annual TFWA exhibition & conference. Here's a full round-up of just-drinks' coverage from the show. The Global Travel Retail channel is enjoying the kind of growth that the high street "can only dream of", the head of the Tax Free World Association has said, as he unveiled strong sales figures for the channel. The US success of Tito's Handmade Vodka has already put some industry noses out of joint. Now, the self-styled craft vodka with the multinational-level volumes is hoping to do the same in the Global Travel Retail channel. But, can the brand sow the same disruption it created in its domestic market? Change happens slowly in the Global Travel Retail channel. At this month's Tax Free World Association exhibition in Cannes, delegates were still discussing the same problems as two years ago - how to make money in a channel squeezed by the landlord/retailer/supplier model. The difference is, however, that two years ago, because of a backdrop of declining sales, there was a hardened sense in Cannes that "something needs to be done". This year, no such urgency exists. Global Travel Retail - right now - looks in pretty good shape. The TFWA World Exhibition & Conference in Cannes this month hosted its own digital village, a showcase for some of the leading tech and latest online and digital innovations in the Global Travel Retail channel. just-drinks brings you a summary of five of the best ideas on show. Global spirits companies are turning to little-known Cognac brands to lure Asian consumers in the Global Travel Retail channel, as younger drinkers increasingly seek heritage and authenticity in the category. Bacardi has anointed its purchase of Tequila brand Patron with the launch of a Travel Retail-exclusive expression. SPI Group's spirits arm Stoli Group new gin is made with botanicals from a Scottish estate that was bought last year by the company's owner. Bacardi has launched a ten-year-old sipping rum to go up against the premium Scotch whisky category.